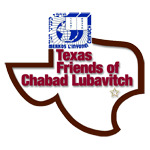 Mikveh Building Campaign - Chabad Lubavitch Center - Texas Regional Hdqrtrs. Donate now to the Building Fund! With tremendous gratitude to Hashem, the Jewish community in Houston has grown tremendously in the nearly thirty years since our mikveh opened its doors in 1978. Mikveh usage has grown not only for the developing observant community but also for those for whom this mitzvah is a first gateway to Jewish observance. As you are surely aware, we are enhancing the existing mikveh as part of the Chabad Lubavitch Center 2007 Expansion Project. The new mikvaot will create an even greater comfortable and attractive environment for the observance of this beautiful mitzvah. Our hope is to also attract even more people to take on the vital mitzvah of Taharas Hamishpocha – Family Purity. After meticulous planning, the construction of the three separate women’s, men’s and keilim mikvaot are well underway and all three will be completed, אי"ה, within the year. A brand new women’s mikveh will be constructed. The mikveh will boast modern and elegant exteriors and interiors, three preparation rooms, on-site laundry facilities and enhanced hi-tech security. The renovated men’s mikveh (converted from the existing women’s mikveh) will allow a suitable environment for men’s mikveh use separate from the pristine women’s environment. The kailim (dishes) mikveh will be accessible throughout the day without limited hours; will make the toiveling of dishes at counter height a pleasure; and will secure that objects no longer fall into the regular mikveh. Our Sages rule that financial participation in the construction of a mikveh is the obligation of every member of the Jewish community, young and old, regardless of the necessity for personal mikveh use. The emphasis is so great, some authorities rule that its construction takes precedence to building a shul or buying a Torah scroll! We invite you to join Mikveh Taharas Yisroel’s campaign. Your gift will help Mikveh Taharas Yisroel reach its ultimate goal of ensuring continued spiritual growth and healing, and developing programs and resources that embrace visitors and new members of the Houston Jewish community. See the attached document for the various dedication opportunities available. To make a donation online, please visit: www.chabadtexas.org/donate or call 713-777-2000. P.S. We are building the dishes mikveh this week! See our website and photo galleries for updates! Read inspiring articles and learn more about Mikveh here! Please see attached map describing entry to the dishes mikveh, men & women's mikveh. We are very excited with the developments of our new beautiful facility. We will post updates here! Check back often for pictures, annoucements, etc! Short video clips of the construction, etc can be watched here! Honor a loved one in perpetuity with a tribute or memorial. They will serve through the years as an inspiration to us and to future generations.